I just spent two months as a prisoner in Jamesville Penitentiary. I was jailed for my involvement in an April 28, 2013, solemn funeral procession at Hancock Air Force drone base in Syracuse. I joined 30 others to carry the message to “stop the killing.” Hancock’s 174th Attack Wing of the New York State National Guard flies missiles and drops bombs via satellite from drones thousands of miles from Syracuse. The targets are suspected “terrorists” somewhere in the Middle East. Stanford University Law School’s International Human Rights Conflict Resolution Clinic and New York University Law School”s Global Justice Clinic, working independently with The Bureau for Independent Journalism, spent years collecting data on U.S. drone strikes in Pakistan. The findings are grim. In their report titled “Living Under Drones,” only 2 percent of the killings have been confirmed “suspected terrorists” by the law schools’ study. Thousands have been killed, thousands wounded — body parts scattered in cities and countryside by our killer drones. 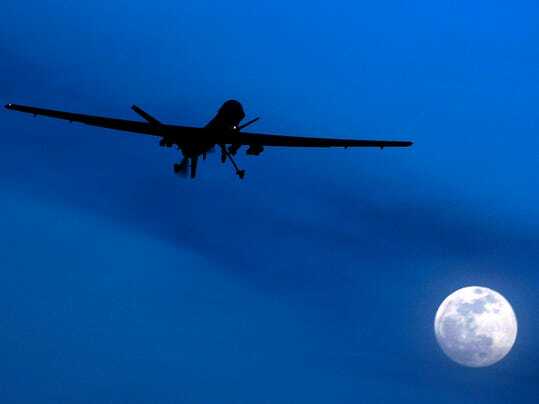 There are no estimates of psychological damage to millions who live under drones 24/7. The killings by American drone missiles may be the best recruitment tool for more Middle East terrorists. My “crime” was being a nonviolent messenger outside the main gate to Hancock. I was convicted of trespass and obstructing government administration. I was handcuffed and sent to Jamesville Penitentiary in Syracuse. As the oldest prisoner at Jamesville at 79, I was also the only political prisoner — a prisoner of conscience. Before my sentence, I was offered a plea bargain: Plead guilty and have all charges dropped, or go to trial and face a year and 15 days in Jamesville Penitentiary. As a former high school teacher of Participation in Government classes, I could not say I was guilty of a crime for practicing my First Amendment rights of assembly, speech, press and religion. It should be noted that those of us arrested did not block traffic at Hancock Drone base on April 28, 2013. The refusal of the DeWitt town court in East Syracuse to recognize First Amendment rights of assembly is akin to the medieval act of killing the messenger of bad news. The insistence of the DeWitt court to collaborate with the military to stop nonviolent protest near the Hancock Attack Wing is in violation of the U.S. Constitution. The DeWitt court order of protection to stay away from the assassination base begs the question: Is there collusion between the DeWitt court and the military to suppress constitutional rights? Gilroy is a lifetime anti-war activist who has been working with the Upstate Coalition to Ground the Drones and End the Wars. He is a resident of Endwell, NY.